My next event was to be the 29er class National Championships at Hayling Island competing against 80 other boats. The 29er is the boat which I am now moving in to. I had only sailed the boat a couple of times before the start of the regatta and only met my crew the week before. The 29er is a difficult boat to sail, especially given it was a windy week, and yet I qualified into the Gold fleet and just missed out on a top 20 finish having been inside the top 20 until the final day when the wind dropped. 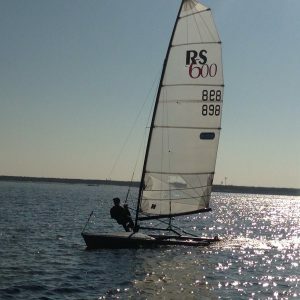 I then moved to Weymouth for the RS Games where I competed in three events, the first in the single-handed RS Aero class. 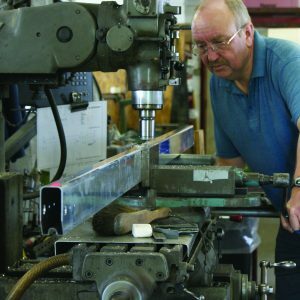 I had not sailed an Aero before, nor had I sailed a single hander since my Oppie days, so the two hours on the water the day before the event with my brother James tuning the boat was very useful. There were 210 competitors sailing three different sized rigs, I had decided to sail the smaller 5 rig given my age and weight. 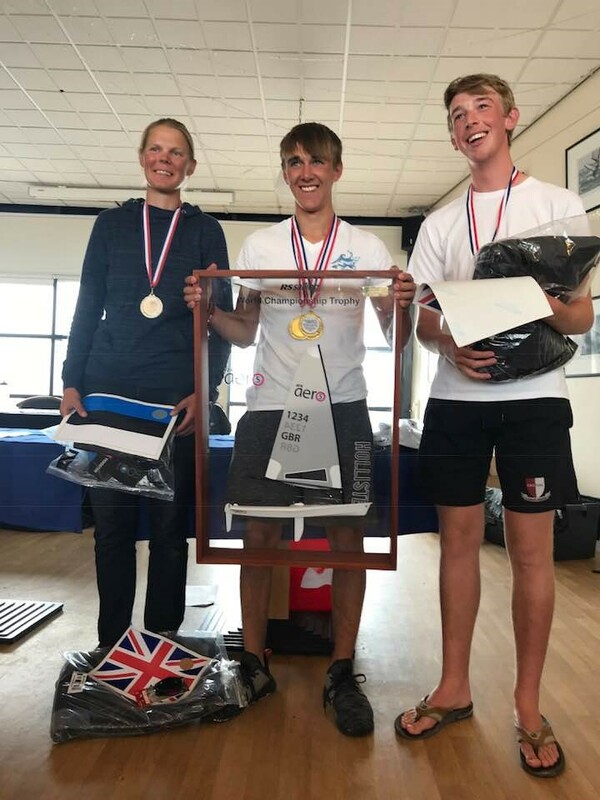 In very testing conditions, I won the RS Aero 5 World Championship and I was also first Youth and Junior sailor, I won the family prize for best-combined placings with my brother James and an award for most sportsmanship conduct for helping an exhausted fellow competitor. After the Aero Worlds it was then straight into RS Feva European championship against 120 boats. This was my final event in the RS Feva with my crew Abi Jayasekara. Lying in 2nd place by one point after the qualification rounds, I was a little less consistent than I usually am and signed off my RS Feva career in fourth place, joint points with third. I would loved to have won but it was not to be. My final event of the RS Games was in the RS 200 where I teamed up with my new 29er crew Nathan Clark from Burnham and took part in the Nationals which is an adult class, made up of excellent sailors including GBR Olympic pathway sailors. I was the youngest helm and got us up to 21st place in the 120 boat fleet at one point before tiredness got the better of me and I learnt a very important lesson, that you can sail too much! We finished in the top half of the fleet which I was pleased with. I have now started the Winter training programme in the 29er with Nathan. I think 2019 will be a more difficult year for us as we transition into this powerful boat that will test our skill, strength and fitness. 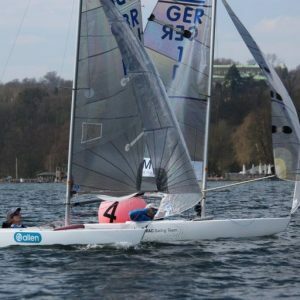 Nathan is relatively new to sailing having sailed for less than two years in total and the crew is very important in the 29er, so we both have a lot to learn about each other, the boat and sailing skills in general. Our aim for next year is to consistently be in the top half of the fleet. I was invited to sail at the Endeavour Cup in Burnham in October as I was invited for winning the RS Aero 5 Worlds. Obviously, I needed a crew and thought it would be nice to sail with my brother James as he sails the Aero also. This is a very prestigious event where all the UK National Champions of all the different dinghy classes are invited to sail against each other in one class of boat. Many of the sailors are almost professional and the invitees included current and past Olympians. The practice day on Friday gave James and I some time to sail together in very strong winds. We finished 12th overall in the 30 strong fleet, top youth boat and got two top 10 finishes which I was pleased with. I have recently been nominated in the 2018 British Yachting Awards as Youth Sailor of the Year. My nomination has come from my two World Championship wins this year, one in the RS Feva in Florida and one in the RS Aero 5 in Weymouth. I am putting my winter training on hold until the New Year now as I have an opportunity to crew in The ARC, sailing 3,000 nautical miles across the Atlantic from Gran Canaria to St Lucia. It will be a great experience for me and will give me a good insight into the world of offshore sailing.